Assurance of Learning (AoL), a requirement for AACSB accreditation, is the process of demonstrating how a student achieves the desired learning objectives of our programs. By collecting, analyzing, and interpreting information about our programs, we are able to evaluate our expectations for students and enhance overall learning and success. Finance major Melross C. Meneses, class of 2014, had some words of wisdom for future LHBS students. Mel, your overall score of the 65-question assessment test was 91.54%. How did you do it, and what advice would you offer to future students? What do you attribute your success on the test to? There are quite a few factors which attributed to my success on the test, but I’ll break it down to the most important ones. With anything in life, I do it to the best of my abilities. I took the test as seriously as I would take any test whether it be a part of class or not. In fact, I probably focused on this test a little bit more than normal because the test encompassed material that I learned in previous years. I am very fortunate to have had great teachers who instilled in me the main concepts of each subject which I remembered for the most part and helped me with the exam. What advice would you offer to other students when taking this test? When taking this test, I think that every student should block off a good, convenient time slot in order to complete it uninterrupted. In essence, pick a time that you know is free from distractions. I suggest that people turn off their cell phones or any other things that might take away some focus away from you. I believe that above all else, students should regard this test as something of importance. The School uses the test to assess our learning and whether we retained it at the completion of our studies. It is part of what the School reports to AACSB for accreditation. Having this high accreditation for our business school makes Monmouth University a recognizable name in the business world and helps students with employment. So, take pride in your work and do your best. 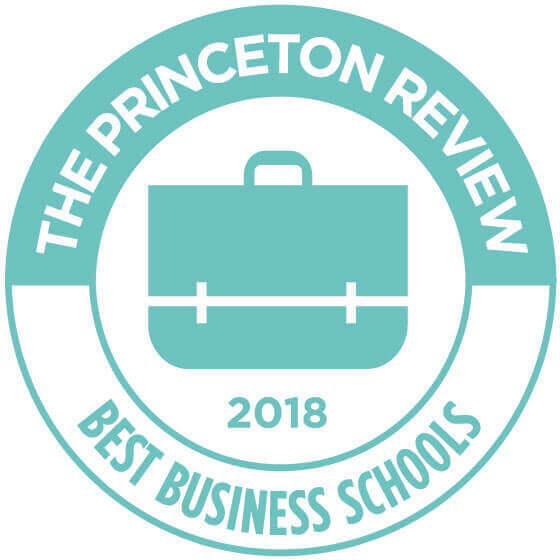 One of The Princeton Review’s Best 296 Business Schools. An accreditation from the international Association to Advance Collegiate Schools of Business, something less than five percent of business schools worldwide have. That's the kind of MBA you will get from the Leon Hess Business School. Monmouth offers five MBA tracks—traditional MBA, accounting track, finance track, healthcare management track, and real estate track.